I have to admit that I am very blessed. I grew up in a two parent home, in a nice middle class neighborhood, born Catholic, and didn’t know of any struggles through my childhood. Not saying we didn’t have any, but none that my parents ever told me. Me and my siblings always had our mother there when we came home from school or was home sick. My parents didn’t have any vices, smoking, drinking, drugs or gambling. If we did get into trouble before my Dad got home, we got the standard, “Just wait till your Dad comes home.” Or the even worse, “I’m calling your father right now.” That would ruin his day, which meant we would probably be grounded to our rooms the rest of the evening. There was some yelling when we got into trouble, and occasionally a spanking or two, but nothing abusive by any means. Sadly, as I grew up, I would find out that not all families were not like mine. Some families were broken by divorce, financial struggles, alcohol or drug abuse, spousal or child abuse, and to me it was so heartbreaking. My friends loved to come over to our house because it was so warm and welcoming. My mother was almost a surrogate mother to some of them because they couldn’t confide in their own mother’s. Their mothers’s were not there, or they were abusive and didn’t want to be bothered with the problems of their children. As children grow into adults, they are faced with either becoming their parents, specifically, their mothers, and continue to abuse to the next generation, or they can find peace and healing in the Catholic Church, specifically through their Holy Mother, Mary. Forgiving Mother: A Marion Novena of Healing and Peace, by Marge Steinhage Fenelon, sets out to do just that. Mary cares for our souls in a way that no human mother ever could – even the most wonderful, loving one! It is that burning charity that motivates her to work tirelessly for our salvation. Yes, Mary cares for ME even more than my wonderful, loving mother. I actually think if there was one fault I could point to about my mother, it would be that because of her love I didn’t really need to look towards Mary. Honestly, it wasn’t until I was an adult that I really looked at Mary as my Mother. It also isn’t one of those things I remember being taught in CCD classes. I wish I could have had a more personal relationship with Mary earlier in my life. Yes, I’ve said my Rosaries and Hail Mary’s, but not really loving on Her like I do my own mother. But Mary doesn’t just want the broken, but those who can also be “Mary” to others. This is who we are all called to be, to imitate Her “yes” to God, to be a loving mother to our children even though the circumstances of their conceptions or births are not ideal or “typical” ways. She calls us to be mothers to others, like my mother did for my friends. She calls us to call upon Her when we are struggling with a crying baby, or to make ends meet. She wants to hold our heads as we sob in her lap over another broken relationship or failed goal. After the Fenelon writes about her own story and healing, she then walks the reader through a Marion Novena (9 days of prayer) for healing and peace for your own life. By speaking with Mary these “nine” days, we reflect upon our own lives, answer some revealing questions, and pray directly to our Lord and Mary asking for help and healing. Although it is only nine days, these prayers can be repeated over and over, until we feel the peace that only God can provide. If there is a specific issue that one of the days is really difficult for you to pray about, keep praying the one day over and over, doing battle with the pain so that those wounds can finally be healed. 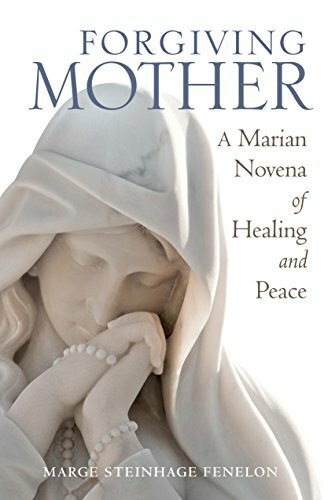 I can see this book being used to bring healing and peace to those who are living with the pain of the failures of their own mothers. Many times, those who are broken turn away from God, fall into alcohol or drug abuse, are abusive to their own children or are depressed and have many of their own failed relationships. They just don’t know how to connect with others in a loving way. Our Lord is always looking to call us to Him, and He gave us His own Blessed Mother to help lead us to her Son. She can show you how to love again and make peace with abuses that happened in the past. She’ll help you move forward and heal those relationships by not falling into the same abusive trappings. I highly recommend Mary. 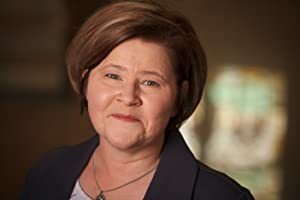 Forgiving Mother: A Marion Novena of Healing and Peace, by Marge Steinhage Fenelon to anyone who is looking to forgive, and for those who want to understand how to help someone who might be dealing with an abusive past. Do you want to be well? That’s what Jesus asked the sick man at Bethesda. Wouldn’t it seem obvious that he wanted healing since he’d lingered pool-side for decades? Why else would he have been there? Do you want to be well? Believe it or not, our answer to that question is often no. We want to be vindicated, excused, hidden, and even at times patronized for the wounds we've suffered. Our complex elationships with parents can be especially difficult to resolve. Marge Fenelon uses her own experience with her mother to guide us to desire authentic healing. Do you want to be well? Do you really want to be well? Are you ready to go through the work of effecting that healing? Picking up this book could be the important first step. Book Review, Catholic Upgrade, Mary, Novena. Bookmark.